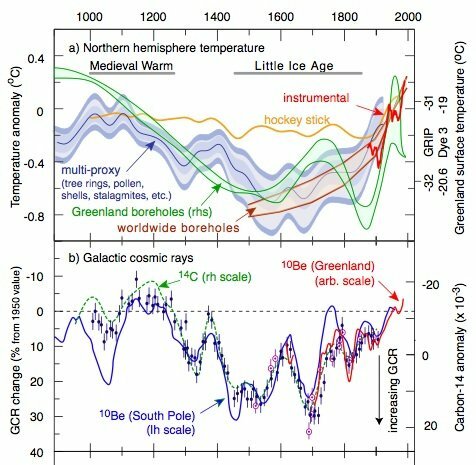 "I have asked the colleagues to present the results clearly, but not to interpret them," reports veteran science editor Nigel Calder on his blog. Why? Because, Heuer says, "That would go immediately into the highly political arena of the climate change debate. One has to make clear that cosmic radiation is only one of many parameters." The unusual "gagging order" could have been issued because the results of CLOUD are really, really boring, muses Calder. Or, it could be that the experiment invites a politically unacceptable hypothesis on climate. 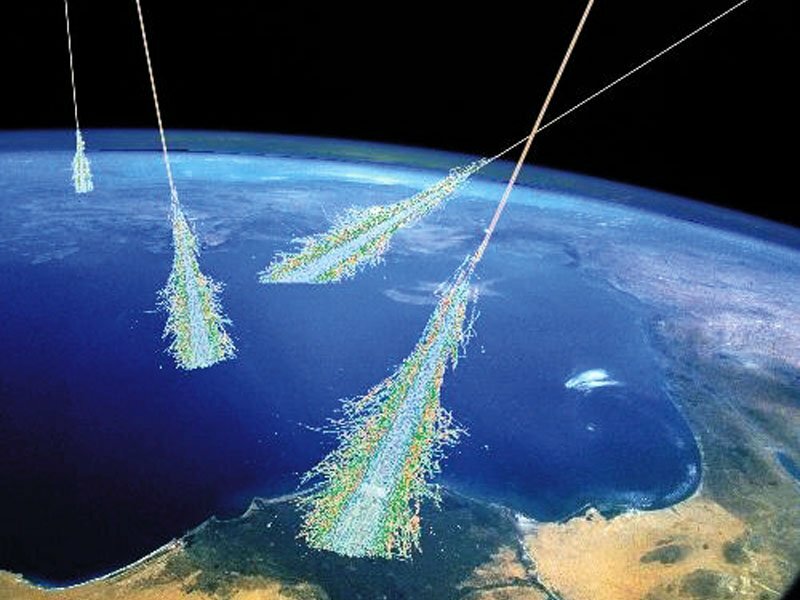 The CLOUD experiment builds on earlier experiments by Danish physicist Henrik Svensmark, who demonstrated that cosmic rays provide a seed for clouds. Tiny changes in the earth's cloud cover could account for variations in temperature of several degrees. The amount of Ultra Fine Condensation Nuclei (UFCN) material depends on the quantity of the background drizzle of rays, which varies depending on the strength of the sun's magnetic field and the strength of the Earth's magnetic field. But how much? Speaking at a private event attended by El Reg earlier this year, Svensmark, who has nothing to do with CLOUD, wouldn't be drawn. He said he thought it was one of four significant factors: man-made factors, volcanoes, a "regime shift" in the mid-'70s, and cosmic rays. The quantity of cosmic rays therefore has an influence on climate, but this isn't factored into the IPCC's "consensus" science at all.